I like to get to know an ancestor, so, after I learn their vital information (birth, marriages, death) and census information for each of the censuses they were alive, I like to see if I can find any newspaper articles about the ancestor. Census records and vital records provide the context of a person’s life, but newspaper articles give the texture to understand a person’s life. In the case of my father’s mother’s father, great grandfather Joel Clinton Barnes, I was astounded by what I found on Newspaper Archives via my Find My Past subscription. 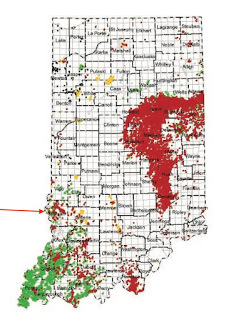 I knew that Joel was born in Sullivan County, Indiana. He showed up in Sullivan County during every census and died in Sullivan County. So, I added a filter to give display newspapers from Sullivan, Indiana, and I sorted the records by date. There were 340 records returned. I initially thought that there had to be many false positive returns, but I later learned I was wrong. Almost every record returned related to my Joel Barnes. Sure, some of the newspaper articles returned had little meaning or value, such as, “Joel Barnes and family were in Sullivan visiting family this week.” And some were the posting of the same article, once in the Sullivan Daily Times and again in the Sullivan Democrat. But there were so many gems of information that I feel I know so much more about Joel and his family. For example, I learned that he was born, lived his entire life, and died in the same house. The spelling of his sisters’ names, Plautine and Tryphenia were provided in a public notice by a lawyer. (Lawyers are always right in court documents, aren’t they? In any event, the lawyers spelling will be my preferred spelling until I find another record in their own hand.) I learned that Joel was, for a while, a constable in Turman Township, which gives insight into his character. He also ran for office as Assessor in Turman Township and served on the local petit jury, “Brother Joel” was heavily involved in his church, Methodist Episcopal, teaching Sunday school, being a leader there, and hosting prayer meetings at his home. He hauled logs for the building of the new church, graded the lawn, and helped build the cement stairs for the front of the church. He was also involved with the Masons and with Eastern Star. In 1913, farm life changed significantly for Joel and family when oil was discovered on his farm. His well, drilled by Ohio Oil Co., was the first in his area. His daughter, my grandmother, Essie had a surprise fifteenth birthday party. His son, Raye, served in World War I and wrote home. And finally, Joel died in his own bed. He was discovered when he didn’t come downstairs for breakfast. His obituary drives home the fact that five of his ten children preceded him in death. His was a farmer’s life filled with church, community, and, most of all, family. I have a transcript of some of these articles here. Joel Clinton Barnes was born on 23 June 1857 in Graysville, Sullivan Co., Indiana. He was the seventh of ten children, by Nelson Barnes (1816-1884), aged 41, and Mercy Eliza Taft, aka Eliza (~ 1822-1884). All ten of their children lived into the 20th century. He died on 30 June 1921 in Graysville, Sullivan Co., Indiana, aged 64. 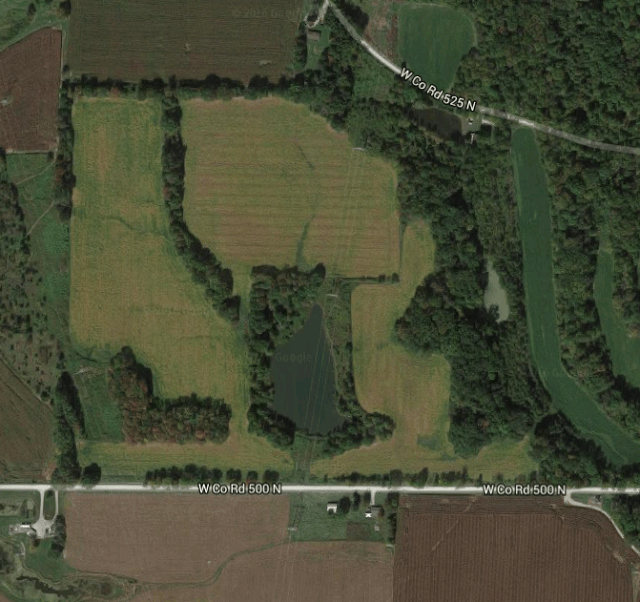 He is buried at Drake Cemetery, in Fairbanks Sullivan County Indiana, at the age of 63. Tryphenia Ann Barnes, born in 1841. Plautina Mariah Barnes, born in 1844. Theodore E Barnes, born in 1847. Suzie Barnes, born in 1849. 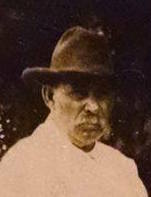 Abraham Barnes, born in 1852. Cyrus John Barnes, born in 1854. Lucy Minerus Barnes, born in 1860. Martha Ellen Barns, born in 1863. He married Sarah Josephine Conner, aka Josie, daughter of Soloman Conner and Harriet Crapo on 25 December 1876 in Sullivan. Joel was 19 and Josie was 22. Their marriage lasted 15 years, until Sarah’s death in 1892. Flora Barnes, born on 18 September 1878 in Sullivan township, died in 1950, aged 71. She married Harlon Riggs on 23 December 1895. She had at least two children that were twins. Flava Barnes, born on 13 May 1881 in Sullivan, died on 22 July 1882, aged 14. Alma Barnes, aka Anna, born on 20 October 1882 in Graysville, died in 1968, aged 85. She married Charles Sylvester Harris on 19 December 1912. William Barnes, born on 12 February 1886 in Sullivan, died on 4 November 1886 in Sullivan (Indiana), aged 8. Orphie Barnes, born on 26 October 1888, died on 21 July 1889, aged 8. He next married Marada A. Lister, aka Marady, May, Morady Maranda (1867-1932), the daughter of Nimrod Lister and Malinda Evans, on 18 June 1893 in Sullivan. Joel was 35 and Marada was 26. Their marriage lasted until Joel’s death 28 years later. Raye Barnes, aka Ray, born on 2 May 1895 in Graysville, died in 1956, aged 60. He married Columbia Means in 1920. Ada Barnes, born on 21 March 1898 in Sullivan Township, died on 19 December 1899 in Sullivan Township, aged 21. Nelson Barnes, born on 14 April 1901, died on 22 November 1902, aged seven months. Essie Pansy Barnes, born on 15 March 1903 in Graysville, Truman Township, Sullivan Co., died on 20 November 1982 in Mount Clemens, Macomb County, Michigan, aged 79. She married Bert Allen Roberts on 13 May 1922. She had five children: Pansy, Bert, Hugh, Helen, and John. Mabel Bessie Barnes, born on 5 April 1906 in Sullivan County, died on 26 August 1984, aged 78. She married Herbert Burton on 18 October 1928. She had one child: Billy. In the 1860 Census, three-year-old Joel is living with his father, mother, three brothers, and two sisters. His two oldest sisters, Tryphenia and Plautina, were already gone from the family farm in Turman Township, Sullivan County, Indiana. By the 1870 Census, two more siblings, Theodore and Suzie, had moved out of the household, leaving Abraham, Cyrus, Joel, Lucy, and Martha still in the household. Fourteen Joel is both working as a farm hand and is attending school as are his older brothers. The 1880 Census finds Joel and Josephine living near his father, Nelson Barnes, with their 1-year-old daughter, Flora. Joel is farming and Josephine is keeping house. In 1892 Josie died; in 1893 Joel married Marada Lister. The 1900 census finds Joel and Marady living with three of Joel’s children, Alma, John A, and Ray. Flora had married and moved out by then. Flava, William, and Orphie had all died during the 1880s. In the 1920 Census the family is down to Joel, his wife Marada, and children, Raye, Essie, and Mable Bessie. Joel died at home on 30 June 1921. 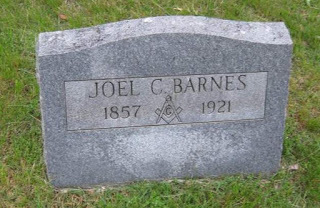 He was buried at Drake Cemetery, Fairbanks, Sullivan County, Indiana with Masonic honors. Joel C. Barnes, 64 years old, a native of the county and a life-long resident of Turman township, was found dead in his bed early Thursday morning by his family, who had called him for breakfast and receiving no response discovered his lifeless body in bed. Joel C. was a son of Nelson and Mercy (Taft) Barnes who came to this county from New York state during the forties. He was born and reared in Turman township and had always followed the vocation of a farmer. In 1876 he was married to Josephine Conner who died in 1892. Five children were born to this union, two survive, Mrs. Charles Harris and Mrs. Harlan Riggs. In 1893 Mr. Barnes was married to Maranda Lester, five children being born to this union, three surviving, Ray Barnes and Misses Essie and Mabel Barnes. Note: Married 16 years in 1910 Census. Marriage #1 for Marada, Marriage #2 for Joel. The Indiana Marriage Index Bonds indicates 17 June 1883. Source: 1900 Census / Indiana, Sullivan, Turman, ED 138, Sheet 7B – Joel C Barnes – Ancestry.com. Source: 1910 Census / Indiana, Sullivan, Turman, District 178, Page 8A – Joel C Barnes; Ancestry.com. Source: 1920 Census / Indiana, Sullivan, Turman, District 0270, Sheet 1B – Joel C. Barnes; Ancestry.com. Previous Previous post: Joel Barnes – Select Newspaper Articles transcribed.